I saw this on Facebook a few weeks ago and decided to research more for Misinformation Wednesday. 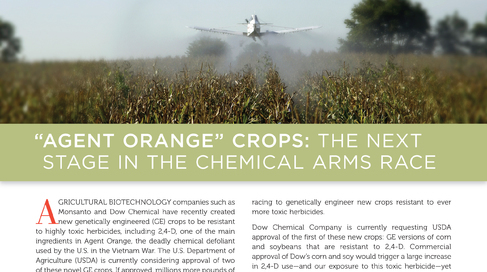 It shows a plane spraying a substance (with the photo altered to make the substance bright orange) onto crops. It focuses on 2, 4-D, an herbicide. Please know that, while I’m familiar with agricultural generic engineering as that was my focus for my primary degree in college, I’d rather give you information from someone others who don’t know me would find reputable. 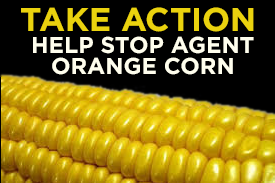 These are insinuating that crops will be sprayed with Agent Orange (or a derivative thereof) and that exposure to this chemical will or could cause the same effects as Agent Orange. I have researched this and have a fairly well-versed knowledge in agricultural genetic modification, as that was my major in the earlier half of my undergraduate studies. There wasn’t an article on Snopes, but there was a comprehensive article on Forbes online. It states “What is 2,4-D? According to scientists, it’s an effective herbicide and plant growth regulator widely and safely used for decades in household weed killers, such as Scotts TurfBuilder, and also by farmers. 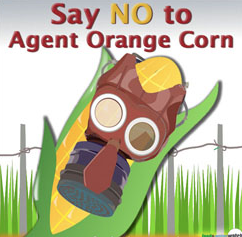 To opponents, it’s “Agent Orange”. 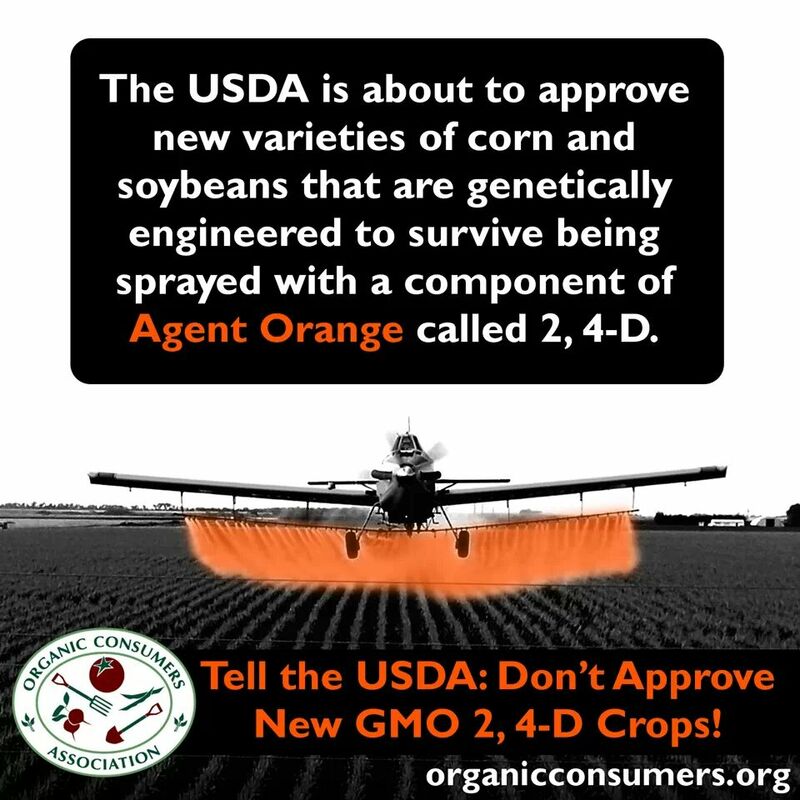 I urge you to read the full article and understand that 2, 4-D was a component of Agent Orange but is far from being Agent Orange or anything like it. The danger was the Dioxin, not the 2, 4-D. It was more the “innocent bystander”. I thought to myself, “they’ve sure covered all their bases to include nearly everyone”. I figure that 99% of people have experienced at least one of these symptoms in their lives. But not everyone drinks diet soda. These are very vague symptoms that can be attributed to a wide range of causes and some idiopathic that are just normal happenings in life. Insert fear mongering. 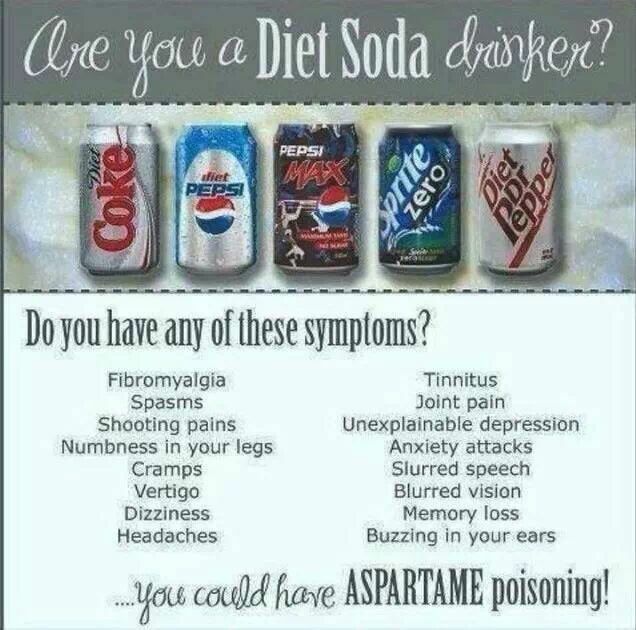 The diet soda drinker (or friend or family member of the diet soda drinker) then feels they have been poisoned by aspartame. I have spent several days lecturing at the WORLD ENVIRONMENTAL CONFERENCE on “ASPARTAME marketed as ‘NutraSweet’, ‘Equal’, and ‘Spoonful”‘. In the keynote address by the EPA, they announced that there was an epidemic of multiple sclerosis and systemic lupus, and they did not understand what toxin was causing this to be rampant across the United States. I explained that I was there to lecture on exactly that subject. When the temperature of Aspartame exceeds 86 degrees F, the wood alcohol ASPARTAME coverts to formaldehyde and then to formic acid, which in turn causes metabolic acidosis. (Formic acid is the poison found in the sting of fire ants). The methanol toxicity mimics multiple sclerosis; thus people are being diagnosed with having multiple sclerosis in error. The multiple sclerosis is not a death sentence, where methanol toxicity is. In the case of systemic lupus, we are finding it has become almost as rampant as multiple sclerosis, especially Diet Coke and Diet Pepsi drinkers. Also, with methanol toxicity, the victims usually drink three to four 12 oz. cans of them per day, some even more. In the cases of systemic lupus, which is triggered by ASPARTAME, the victim usually does not know that the aspartame is the culprit. The victim continues its use aggravating the lupus to such a degree, that sometimes it becomes life threatening. 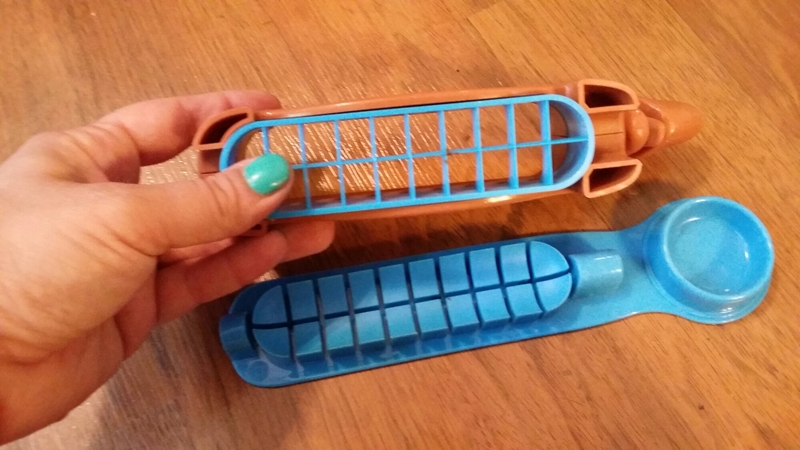 People were jumping up during the lecture saying, “I’ve got this, is it reversible?” It is rampant. Some of the speakers at my lecture even were suffering from these symptoms. In one lecture attended by the Ambassador of Uganda, he told us that their sugar industry is adding aspartame! He continued by saying that one of the industry leader’s son could no longer walk – due in part by product usage! We have a very serious problem. Even a stranger came up to Dr. Espisto (one of my speakers) and myself and said, ‘Could you tell me why so many people seem to be coming down with MS? During a visit to a hospice, a nurse said that six of her friends, who were heavy Diet Coke addicts, had all been diagnosed with MS. This is beyond coincidence. have been two subsequent hearings, but to no avail. Nothing as been done. The drug and chemical lobbies have very deep pockets. Now there are over 5,000 products containing this chemical, and the PATENT HAS EXPIRED!!!!! At the time of this first hearing, people were going blind. The methanol in the aspartame converts to formaldehyde in the retina of the eye. Formaldehyde is grouped in the same class of drugs as cyanide and arsenic DEADLY POISONS!!! Unfortunately, it just takes longer to quietly kill, but it is killing people and causing all kinds of neurological problems. Aspartame changes the brain’s chemistry. It is the reason for severe seizures. This drug changes the dopamine level in the brain. Imagine what this drug does to patients suffering from Parkinson’s Disease. This drug also causes Birth Defects. Memory loss is due to the fact that aspartic acid and phenylalanine are neurotoxic without the other amino acids found in protein. Thus it goes past the blood brain barrier and deteriorates the neurons of the brain. Dr. Russell Blaylock, neurosurgeon, said, “The ingredients stimulates the neurons of the brain to death, causing brain damage of varying degrees. Dr. Blaylock has written a book entitled EXCITOTOXINS: THE TASTE THAT KILLS” (Health Press 1-800-643-2665). Dr. H.J. Roberts, diabetic specialist and world expert on aspartame poisoning, has also written a book entitled DEFENSE AGAINST ALZHEIMER’S DISEASE” (1-800-814-9800). Dr. Roberts tells how aspartame poisoning is escalating Alzheimer’s Disease, and indeed it is. As the hospice nurse told me, women are being admitted at 30 years of age with Alzheimer’s Disease. Dr. Blaylock and Dr. Roberts will be writing a position paper with some case histories and will post it on the Internet. According to the Conference of the American College of Physicians, ‘We are talking about a plague of neurological diseases caused by this deadly poison”. “Origins: I have been requested by the FDA Center for Drug Evaluation and Research to respond to your request for an evaluation of the article received via an e-mail message on the alleged toxicities of the artificial sweetener, aspartame. My name is David Hattan and I am currently Acting Director of the Division of Health Effects Evaluation in the United States Food & Drug Administration (USFDA) Center for Food Safety and Applied Nutrition. I have worked on questions relating to the safety of aspartame repeatedly since 1978 and am familiar with the safety studies that have been conducted to support the safety of this food additive. There were well over 100 separate toxicological and clinical studies conducted to establish the safety of aspartame before it was approved for regulatory acceptance. Since its approval in 1981 by the USFDA, there have been many additional studies performed to follow up on some of the more creditable reports of aspartame- mediated adverse effects. Below I have tried to succinctly respond to certain of the allegations of toxicity proposed in the e-mail message. First, reports of the ingestion of aspartame in patients who later have suffered multiple sclerosis or systemic lupus is obviously not scientifically sustainable evidence that aspartame is responsible for the occurrence of either disease. Both of these disorders are subject to spontaneous remissions and exacerbations so it is entirely possible that when patients stopped using aspartame they might have also coincidentally have had remission of their symptoms. There is no credible evidence that I am aware of that suggests that aspartame elicits multiple sclerosis or systemic lupus. Second, the claim that aspartame ingestion results in the production of methanol, formaldehyde and formate: These claims are factual. In the gastrointestinal tract aspartame is hydrolyzed to one of its component materials, methanol, as well as the two amino acids, phenylalanine and aspartic acid. This methanol is taken up by the cells of the body and metabolized first to formaldehyde and then to formate. 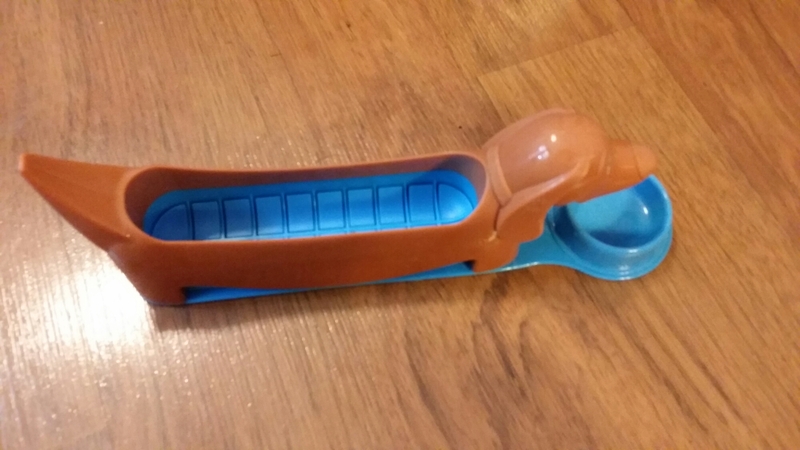 The key information that is missing in the description by Ms. Markle is that the levels of ingestion are very modest. In fact, there are other foodstuffs that we ingest that supply as much and sometimes even more methanol; e.g., citrus fruits and juices, and tomatoes or tomato juice. There are even higher quantities of methanol ingested when ethanol is consumed. Thus, in the final analysis this methanol is the same as from other sources and in the quantities consumed from aspartame, it is readily and naturally metabolized via the one-carbon biochemical cycle to entirely innocuous and natural body components. Third, the claim that the two amino acids, phenylalanine and aspartic acid have neurotoxic effects. This is true in certain individuals and in high enough doses. The only subpopulation of individuals potentially susceptible to adverse effects from phenylalanine is homozygous phenylketonurics and in this case, food itself with much higher levels of phenylalanine from the protein in the diets contributes much higher toxicity for these unfortunate individuals. For those individual phenylketonurics that want to carefully control their intake levels of phenylalanine, they can do that by simply taking into consideration the amount of phenylalanine supplied by the aspartame product or, even more likely, simply refraining from use of these products. The USFDA requires that the aspartame product be labeled specially for phenylketonurics patients so that they will be aware of its presence in these products. As for the other amino acid in aspartame, the levels of aspartic acid ingested with aspartame use are many fold less than those levels responsible for causing adverse effects on the brain of animals and/or man. In fact, it is not clear that the experimentally derived data from animals is relevant to man. In any case, the levels of aspartic acid intake from aspartame are many fold below those needed to mediate neurologic effects. Fourth, there have been numerous animal and human studies done to evaluate the possibility that aspartame causes seizures or enhances the susceptibility to seizures. In clinical studies done in adults and children with pre-existing seizures, there was no evidence of contributing to the frequency of occurrence or severity of seizures in seizure-prone individuals. There were additional studies done on seizure-prone experimental animal models to assess the possible influence of aspartame on their seizuring activity. Again, the result was the same and no influence was demonstrated on the frequency or severity of seizures. Fifth, aspartame was comprehensively evaluated for its potential to mediate reproductive effects and birth defects. In all cases of animal testing, there was no evidence of aspartame-mediated effects on the experimental animals at doses many times higher than those to which the human population is exposed. Sixth, more recent allegations about aspartame mediating an increase in the incidence of brain tumors in the human population has been thoroughly refuted by both government and academic scientists. The legitimate attempts that have been made to confirm and replicate allegations of adverse reactions from aspartame ingestion have not been successful and the USFDA continues to consider this to a be among the most thoroughly tested of food additives and that this information continues to confirm the safety of aspartame. Personally, I always find it suspicious when someone is selling their books as part of a warning. Seems to make people afraid so they feel the need for information and (surprise!) the person who is spreading this information has a book to buy to help with that! Each Wednesday, I’m going to find an infographic from Pinterest or Facebook and search Snopes.com to see whether or not it’s accurate and then share the snopes article with you. I see a lot of things shared that I know aren’t true and some that I have to research. Snopes is a great resource that does a lot of research to determine if something is true, false, or mixed.